Congrats to Countryman's APBTs for their New Champion!!!! 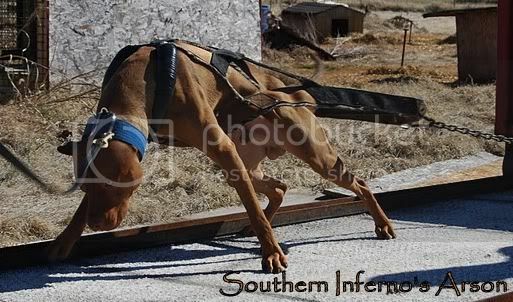 Big congrats to Kristin and Paul of Countryman's APBTs and their new AADR Champion Southern Inferno's Ember...Ember earned her Champion title and took the Champions cup at November 2011 NC AADR Show/Pull at 9 months old! 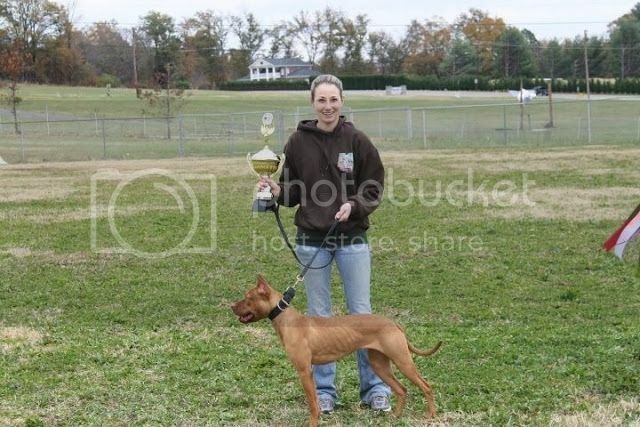 Her weekend haul included 2-2nd place WP, 3-1st 9-12mo females, 3-Best Puppy, and a Champion of Champions Cup. 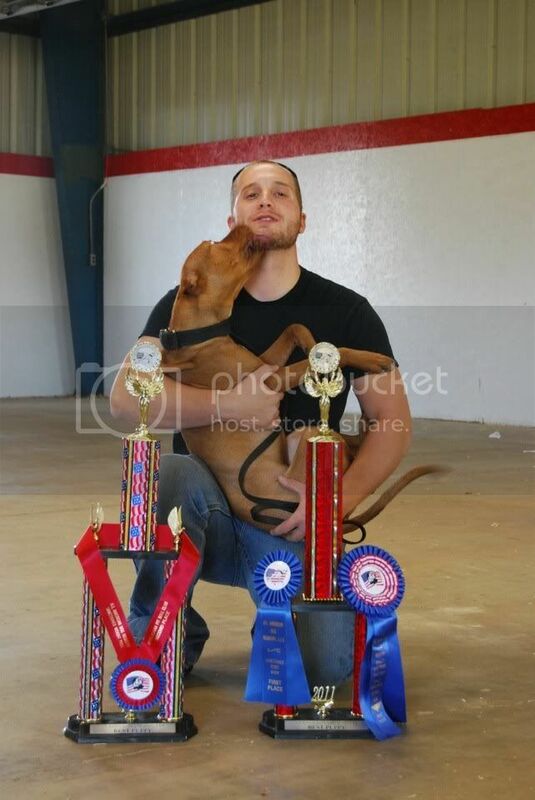 Her overall AADR show career consists of 7-1st Place wins, 6-Best Puppy Trophies, and 1-Champion of Champions cup...She also scored more points then any other dog at the show this weekend and won the "Put your money where your mouth is" pot and official bragging rights.